Are you looking for the best local clinic where receive the best medical treatment in Derby (Derbyshire)? Luckily there are different types of medical centers around you. Their differences lie in the kind of treatment they provide as well as their dimensions and owners. At first sight we could talk about private centers or public hospitals, where the financing is provided by the government of Derby (Derbyshire). We can also find different private clinics depending on their specialization. For example: abortion clinics, surgical clinics or family clinics. Sometimes we decide to attend to a clinic rather than going to a public hospital. Either it is due to the distance or because we want to avoid the long wait that we can foresee in a public hospital. Or maybe, needing immediate medical care is what makes us choose a private clinic. Either way is always good to know which is the nearest local health clinic. Community health clinics: these clinics are non-profit and they provide primary medical care in areas where it is not easy to afford medical treatment. Outpatient clinics: offer medical treatment that doesn’t involve overnight stay. Private clinics: you have to pay for their services. That is why they count with better equipment and more specialized professionals beyond primary doctors. Walk in medical clinic: they attend all the people walking in without an appointment. 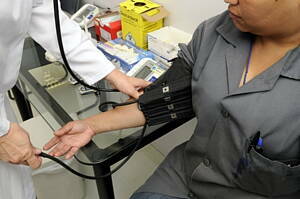 Occupational health clinic: they focus in medical care, tests and advice for employees. After hours medical clinic: they offer medical service in the evenings and weekends. The role of a good medical leader is essential to make every clinic work. At Infoisinfo we know how important is for you to take care of your health and the health of your loved ones. That is why we’ve prepared a list with the best clinics in Derby (Derbyshire) so that you can choose a clinic and find the best doctors, either you are in need of emergency care or family practice. This way we provide you with contact details such as websites, address and phone numbers as well as valuations and comments from other patients. Please do not hesitate to share your experience so it can help others too. Located within Derbyshire Sports Injuries Clinic at David Lloyd Fitness Club. Specialist Children's Physiotherapy for All Musculoskeletal and Sporting Injuries. Weights and hypnotherapy are the main categories of this company. Helping People lose weight using the latest techniques in Hypnotherapy, Coaching and BIM testing.